The United Nations Human Rights Council was created through a decision taken by heads of states and governments during the 2005 World Summit and codified in the outcome document thereof, General Assembly resolution 60/1. The decision was put into effect through the adoption of resolution 60/251, establishing the mandate and terms of reference of the body. The establishment of the Human Rights Council was part of an effort, by the international community, to improve the relevance and strengthen the impact of the international human rights system. The Council would, it was hoped, help a move from norm setting to norm implementation – change promise to reality. Since 2006, the members of the Council have taken up this objective with notable enthusiasm and the Council has grown significantly in confidence and stature, positioning itself as a relevant and influential political body in the multilateral arena. It has registered important achievements at both a thematic and a country-specific level. Regarding the former, the Council has continued international efforts to shape and set universal norms, both for economic, social and cultural rights, and civil and political rights. Established Council mechanisms, especially Special Procedures, have continued to expand in scope and sophistication, while a new mechanism – the Universal Periodic Review (UPR) – has seen the human rights record of every single UN member state scrutinised, thereby strengthening universality, inclusivity and dialogue. While recognising these and other achievements, it is important to note that the Council, is still a young body facing several challenges in fulfilling its mandate established under UNGA resolution 60/25. Unlike the Security Council or ECOSOC, which sat atop the other two pillars of the UN, the Human Rights Council is not a main body of the United Nations. This was the decision of heads of states and governments in 2006 and was confirmed during the Council’s 5 year review in 2011. The Council reports to the General Assembly through the Third Committee. The Third Committee also conducts its own human rights work, including passing resolutions and holding interactive dialogues with Special Procedures. All this requires a high degree of coordination between to the Council and the Third Committee – to avoid duplication or, worse, contradiction. 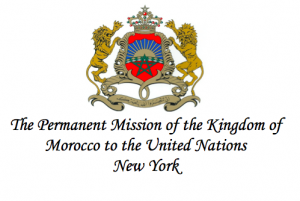 Are the challenges of coordination between the Council and the Third Committee resolvable? If so, what more can be done? Or are difficulties and tensions inevitable considering that the Council is not a main body of the UN? Has the Third Committee’s treatment of the Council’s 2013 report set a precedent? How can such situations be avoided in future? What further concrete steps can the Human Rights Council take to strengthen coordination and coherence with the Third Committee and other UN organs? One possible framework raised during these informal meetings for understanding and improving the Council’s relationship with the Third Committee (and other relevant parts of the UN) is to focus on the five Cs: capacity and competence – delegates in the Council and in New York should be conscious of capacity constraints faced by both institutions and thus find synergies between the two; coherence – the Council should work to ensure that its outputs are consistent with and complement the work of other relevant parts of the UN system (and vice-versa); communication and coordination – although there are the same States in Geneva and New York there is significant room for improvement in terms of communication and coordination. Member States have started several informal processes such as the Glion Dialogue, the Berlin retreat and other initiatives taken by some delegations in New York and Geneva to reflect, inter-alia, on ensuring relevance and impact of the work of the HRC including better coherence, coordination, communication and complementarity between both bodies. 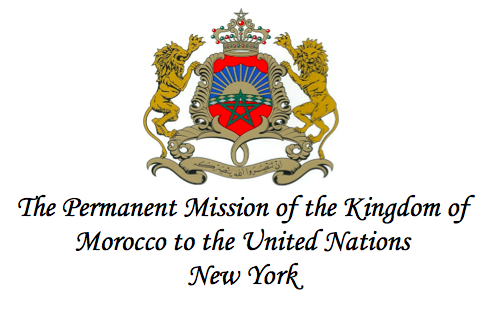 With this in mind, the Permanent Mission of the Kingdom of Morocco to the UN, in collaboration with the Universal Rights Group, organised a panel discussion on Monday, 7 October 2015, in the UN headquarters in New York, with the objective of considering the above issues and contributing to finding consensual ways forward. 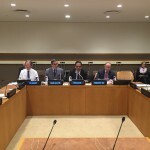 This event offered participants the unique opportunity to engage in an interactive dialogue with senior human rights experts on the challenges facing the Council and its relation with the Third Committee in the context of the former’s upcoming 10th anniversary.